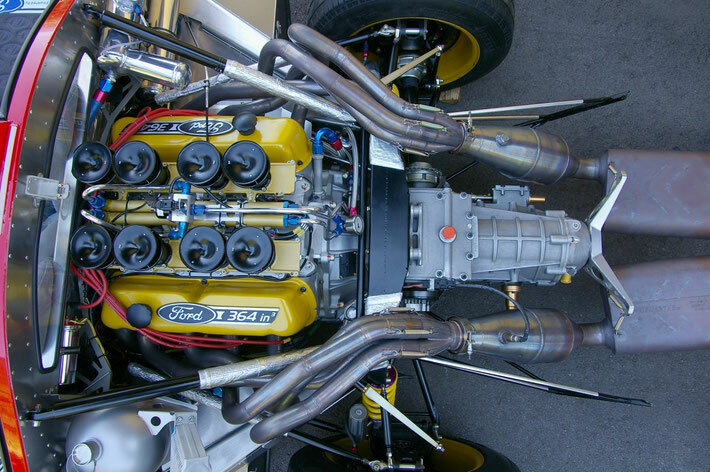 The GTP-13 is powered by a highly customized engine, which is based on the Ford small-block Windsor family. 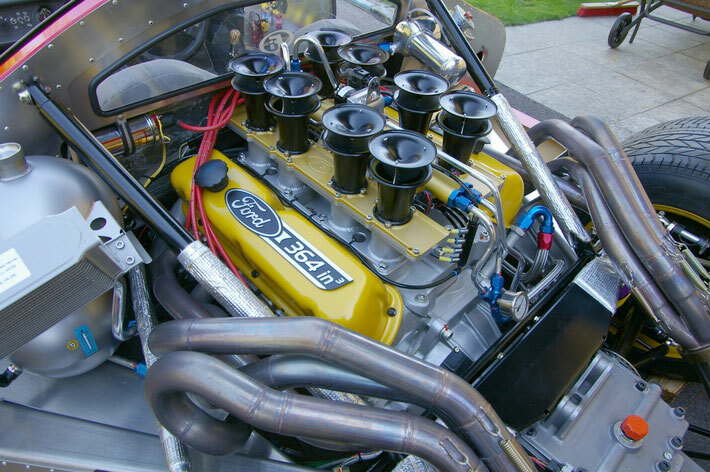 The very core of the engine consists of some modified, high-class off-the-shelf components, such as a DART Aluminium block and DART Pro 1 Aluminum cylinder heads. 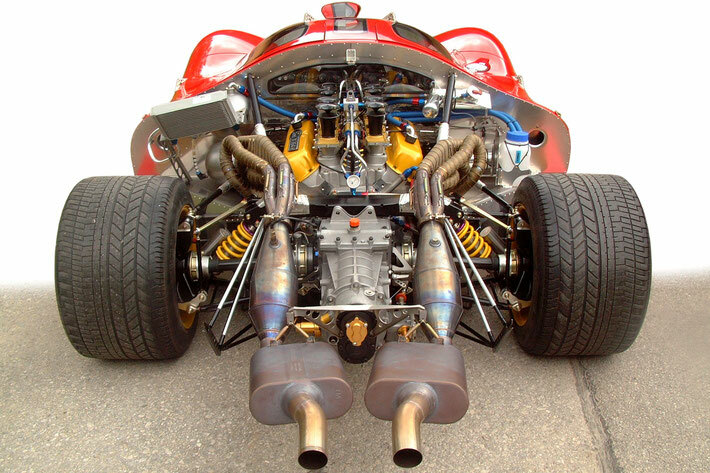 But what makes the GTP-13's engine unique are the many custom designed and hand made components such as the port injecting slide throttle assembly, the dry sump oil system and the externally powered cooling system. 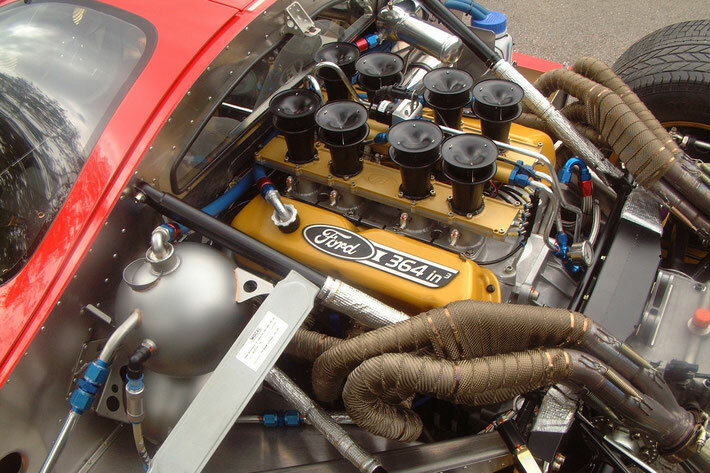 These components are designed to be compact enough to allow the large 6-liter powerplant to be fitted into the small engine bay of the GTP-13 (note that the GTP-13 engine bay is of similar size as the historic Ford P68's, and that the latter housed the much smaller 3-liter Cosworth DFV engine). 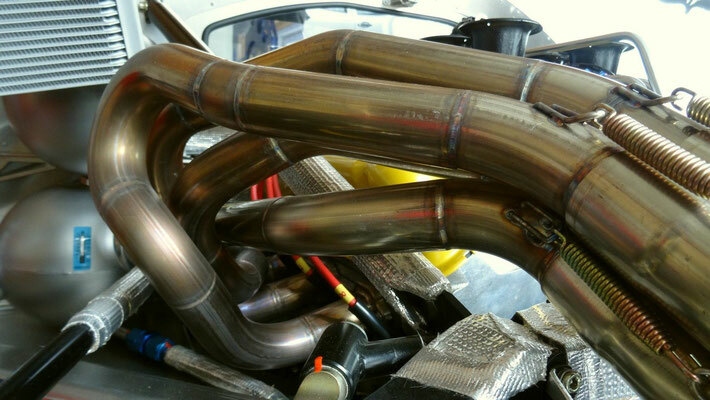 The GTP-13's fuel-injection system is of AFR-sensing control loop type to make best use of the car's two catalytic converters. 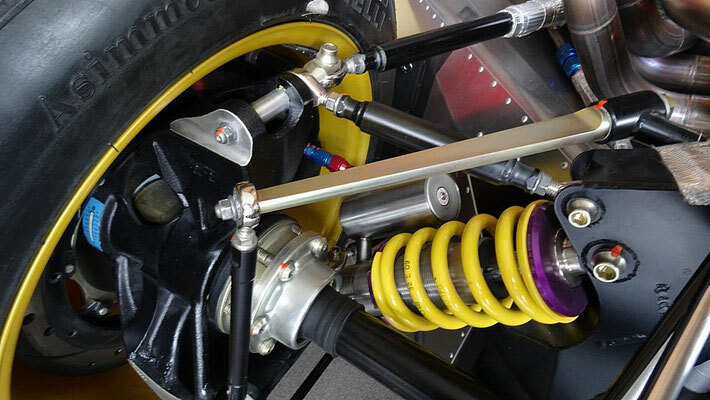 The engine's power is transmitted to the rear wheels by a Quaife ZFQ, which is a synchronized, handshifted five speed gearbox. 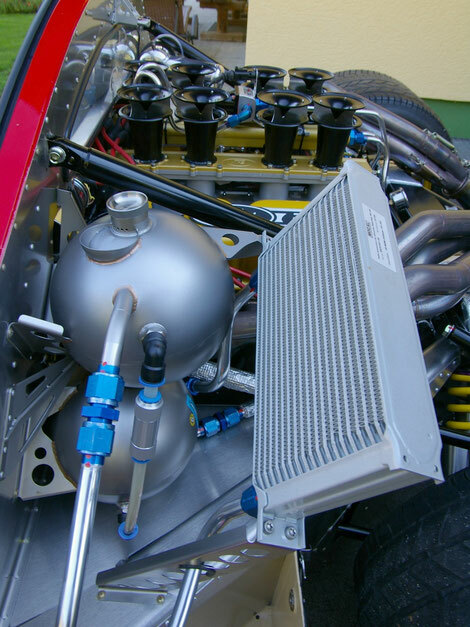 GTP-13 engine bay in current stadium of development, with 3rd generation slide throttle assy, 2nd generation ignition system, 2nd generation deaerating oil tank, improved coolant expansion and ventilation system and improved crank case ventilation.